The ‘people’ element of digital transformation programmes – big or small – must not be underestimated. They are an organisation’s most important asset. 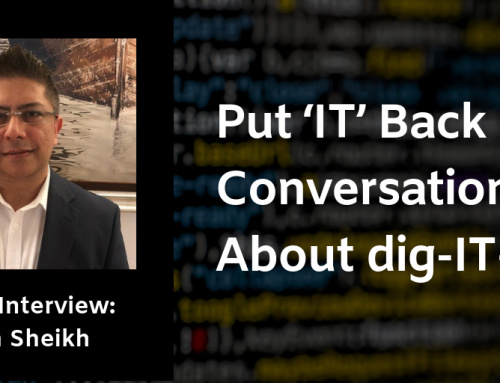 Digital transformation can often involve a big change in the way things are done – moving to new systems, processes and way of doing things. Yet many people can struggle with change. The fear of the unknown can compound resistance. They may be worried that they will be out of a job, or wonder what the benefits are to move from the current status quo to ways to a new way of doing things. 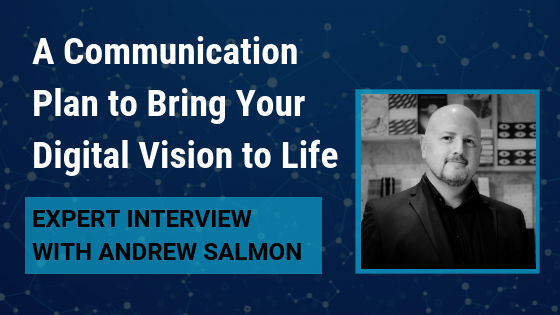 In this interview I talk to Andrew Salmon, Senior Partner at Digital Works Group to discuss why your communication plan is a critical success factor of digital transformation. 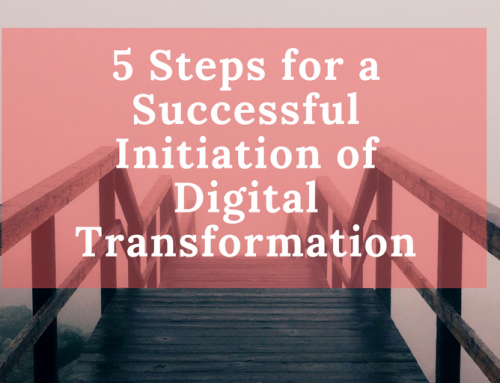 Our digital transformation series looks to share practical and proven advice for businesses faced with the need to create and execute a digital change strategy. Providing you with approaches to avoid common mistakes and ultimately make change smoother and faster. 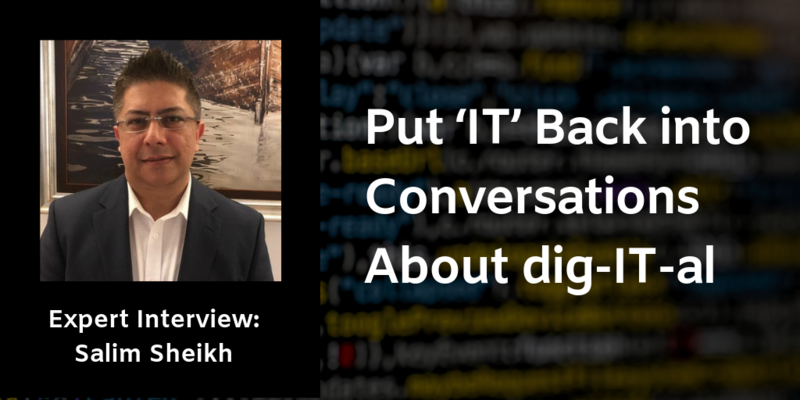 What is Digital Transformation and the Best Way to Get Started? Sophie: Andrew, why is a communication plan so important? 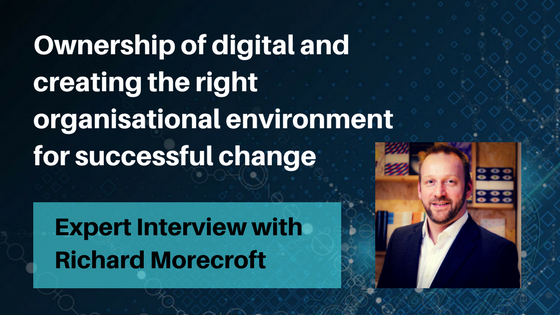 Andrew: To achieve successful digital transformation or change it’s generally going to involve a lot of people. 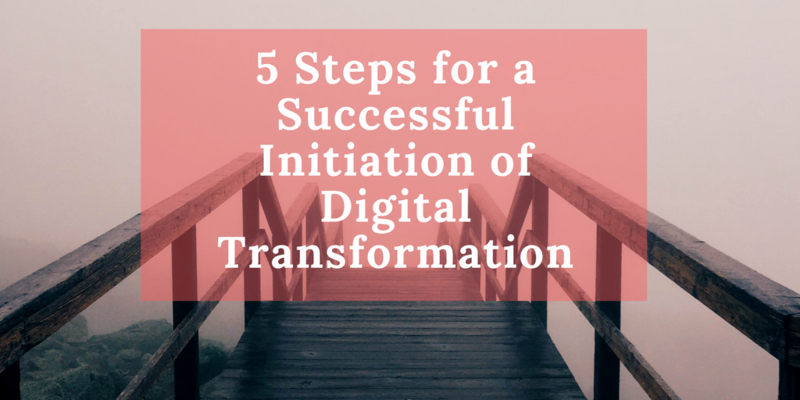 In this process, you will change the core areas of your business, whether that’s marketing, operational processes, organisational structures, or your technology and data platforms, or all of those things. What is common to all of these elements are human beings, and as we know, humans are much more complex than any computer. You can tell technology precisely what to do and 99.999% of the time if you structure it correctly, it will happen. On the other hand, people are far more complicated and this can impact the certainty of the change. Sometimes we don’t understand what is being asked, or we have competing priorities, or we are just inherently concerned about the effects the change may have on us. So to help them you’ve got to get the communication process right. When you undertake any communication, you’ve got to ensure you are clear on what it means for everyone. You need to be highly user-centric, so any message stays relevant. You need to think about that through all layers of your business. Your senior team will probably have a significant understanding of what’s going on across the piece. But if, for example, you’ve got somebody operating in a retail shop, one of 300 perhaps, you are going to have to make it clear what the change will mean for them and in a positive way. If you don’t say why it’s important, what it means for them and why it’s a benefit then it’s often doomed to failure because people won’t make the change or they will be fearful of it. In our experience, people respond best when they know where they are going, what they need to do and how they’re going to get rewarded for good performance. Sophie: Who needs to be involved in a communication plan? Andrew: Any business transformation communication has to be led by all the senior people in the business. They need to work out what needs to be done, what the message is, which parts will be done by whom and together own it. Often this will be supported by internal communication specialists if the business is mature enough and is usually a function of two areas: talent management/HR and central planning. In this case, the communication plan content is often informed by the central planning function, as they know what’s going to go on regarding the mechanics, timings and everything else. However, for the ‘human’ input you need effective talent management to ensure the language, tone and communication is appropriate to the culture and structure of the business. This means the people who deliver it and the senior team have an accurate and culturally balanced approach that can also be cascaded through other management layers and leadership structures consistently. Sophie: How do you get everyone on board with change? Andrew: Driving successful change is about your culture and people. You have to foster the right environment for change. It’s not just about engaging senior ‘leaders’ but gaining the support from trusted people within the business who others look to. You need to identify the opinion leaders in your organisation and invite them into the process. Allow them to raise concerns and provide feedback loops. If you get this bit right it will cascade through the business, because those change agents who have trusted opinions can help remove people’s fears and worries. Whatever communication is made needs to be highly relevant to the audience. Think about it in the same way you would approach your marketing – what is your target market? What do you want them to do? What are the relevant messages and actions you want to come out of it? Also define what is success and how do you feed back concerns? Sophie: Should the communication plan include an element of education? 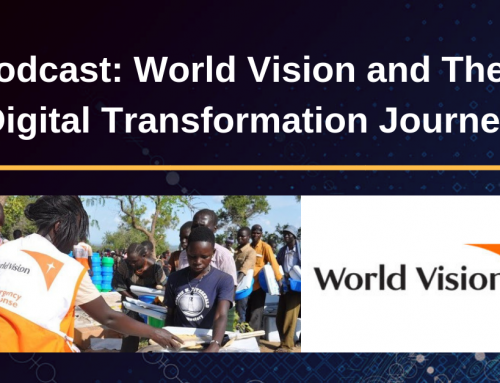 Andrew: Digital can be seen very much as a threat but it also can be very empowering. Let’s take an example of an employee in a retail shop, such as a builders merchants, and the business is introducing a new terminal. They may think ‘am I going to be replaced by this technology?’ The reality is it is never going to happen like that. There may be new terminals but customers will still need good advice. In this case, there can be two positive elements. Firstly, if you give your employees access to an environment where they can quickly get information and identify the right solution, they become empowered in that process. Secondly, you remove the administration and increase the possibility of higher value human interaction, dealing with the complex questions. So if you can say to your employee we’re taking all the boring stuff away, so you can become really customer focused and enjoy it more, then this will be a strong benefit. At that point people are going to start to think ‘I like the sound of this’ and I know what it means for me. If you can quickly answer those questions and bust rumours then change will just be smoother and easier. Sophie: Where do things go wrong? 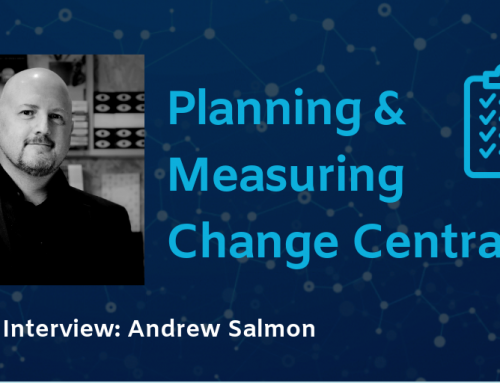 Andrew: Where there is a fundamental shift through the business most of the failure occurs because of two simple factors; firstly, the general plan hasn’t been worked out well enough in advance, and then it is poorly communicated throughout the process. The more complex the organisation the more complex the change. You have to work stuff out in advance and explain what’s going to happen. If it changes people need to be updated. The most successful changes I’ve ever seen are where both of those things have been done well. Sophie: What are your final words on communicating change? 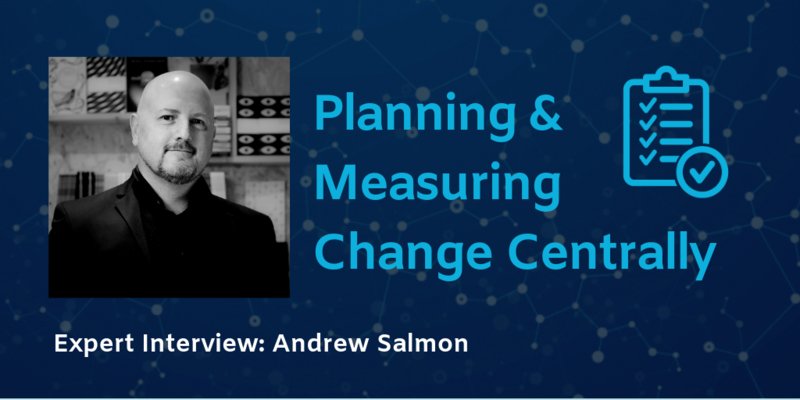 Andrew: As I mentioned in the beginning, the most complicated part of any change relates to your people. So if you don’t communicate with them, or take them on the journey, they will become either conscious or unconscious saboteurs of the process. Be as transparent and honest as you can. Be clear and talk to the individuals in relation to their needs, what they are going to be doing and what it means for them. Facilitate the feedback loop. In the majority of organisations, most people react to this better than keeping it in a closed box. Also, break change down into achievable chunks and communicate success, so you build momentum. Sharing that success is vital and compelling. This just spurs people on. And don’t finger point if things go a little wrong. If it’s catastrophic and someone is negligent (again and again), that’s one thing, but we are all human and change like this is not easy. Finger pointing or a blame culture needs to be eradicated. Yes, there have to be learnings, but people shouldn’t be walking through change with fear. In fact, they need to be rewarded appropriately for making the change happen successfully. This should all form part of your communication plan. 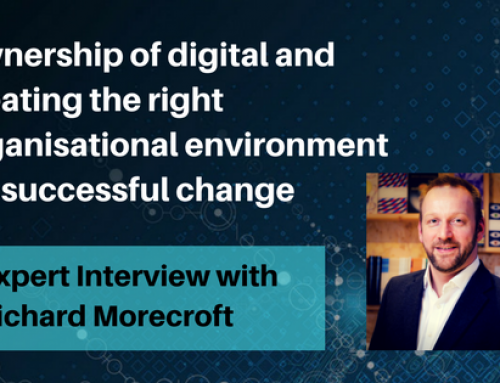 Need some help with your digital change ambitions? The team at DWG are highly experienced in helping businesses transform in today’s digital environment. 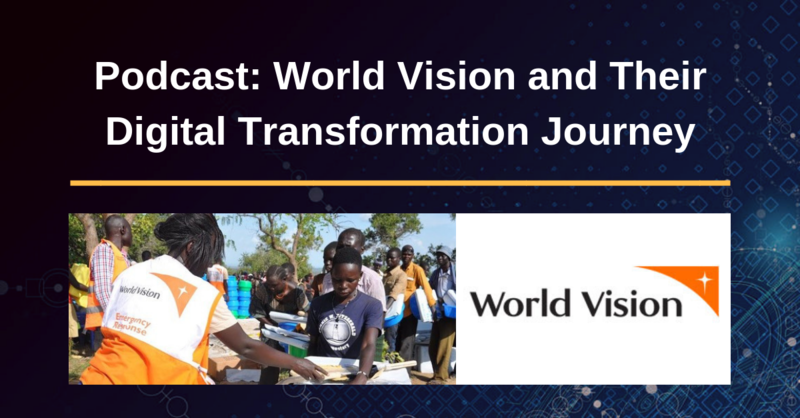 We understand the combination of factors needed for success and have helped multiple clients to deliver profitable digital transformation programmes, providing hands-on, down-to-earth and proven expertise. We would be delighted to hear from you and offer a free 1-hour consultation via video or telephone. To take advantage and get the ball rolling, please get in touch. A digital marketing enthusiast, passionate about helping clients gain visibility and drive leads - from start-ups to enterprise.